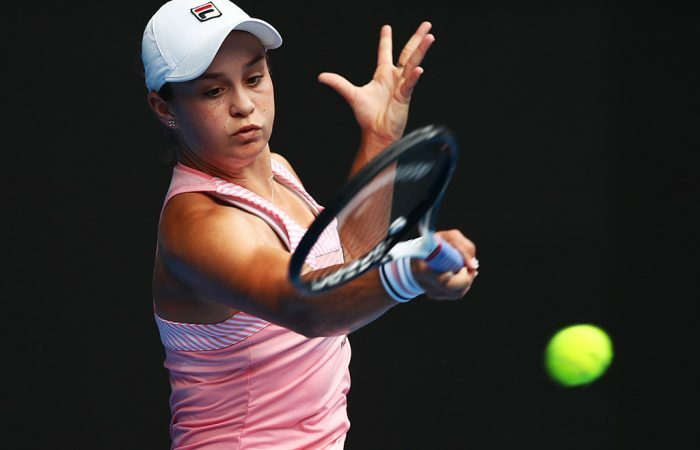 For the third straight year, Ash Barty surges into the third round at Melbourne Park - this time thanks to a straight-sets win over Wang Yafan of China. 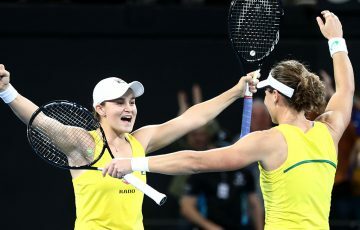 Playing with freedom and without fear, Ashleigh Barty has powered into the Australian Open third round without dropping a set. 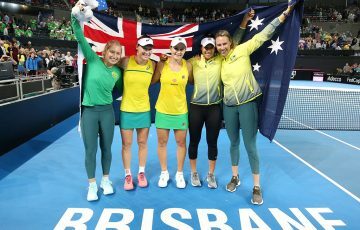 Barty fired seven aces and dropped serve only once in an impressive 6-2 6-3 win over China’s Yafan Wang on Wednesday before saying she felt no pressure as Australia’s biggest title hope in years. 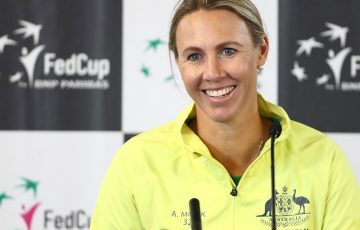 “It’s great to be playing in Australia and playing well,” the tournament’s 15th seed said after notching her sixth win in nine days. Ash Barty's off to the third round! A finalist at last week’s Sydney International, the 22-year-old is aiming to become the first home-grown winner of the Open since Chris O’Neill in 1978. Barty, though, insisted the hype was easy to block out. “I don’t read the papers to start off with,” she said. “I can come out here and play with freedom. When I’m playing well, I’m really enjoying myself out on court and that is all I can ask of every match. 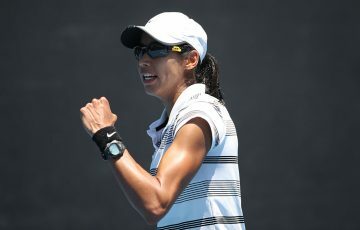 Earlier on Wednesday, French 19th seed Caroline Garcia ended local wildcard Zoe Hives’ exciting Australian Open campaign. The Garcia won 6-3 6-3 in one hour and five minutes against Hives, who emerged as one of Australia’s surprise new stars after flying through the first round in straight sets. She is also projected to rise to a career-high ranking of No.178 after the tournament. Local qualifier Astra Sharma also bowed out in the second round, falling to rising Greek star Maria Sakkari. She fought hard, especially in the second set, yet Astra Sharma goes down 6-1 6-4 to Greece's Maria Sakkari in #AusOpen R2. Sharma, however, is projected to vault 74 places to a career-high ranking of No.158 when the new rankings are out. Next up for Sakkari? Ash Barty. Sakkari won 6-1 6-4 in a match lasting just over an hour, and was joined at Melbourne Park by a hundred-strong Greek cheer squad. 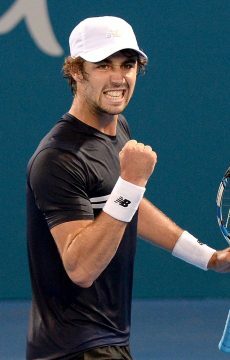 Another Aussie, Jordan Thompson, fell in straight sets to Italy’s Andreas Seppi. 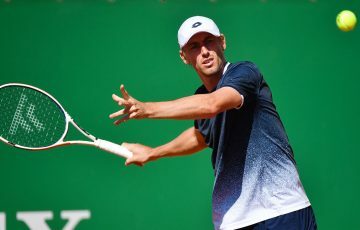 Seppi, a runner-up last week in Sydney to Alex De Minaur, won 6-3 6-4 6-4 over the 24-year-old, who reached the Sydney quarterfinals before also falling victim to De Minaur. Four months after departing the US Open suffering a crisis of confidence after losing to Brit Cameron Norrie, Thompson has seen his ranking slashed by almost 40 spots to 72. The heavy lifting was done with a couple of titles at Challenger level late in 2018 and he has backed that up with four match victories at the Brisbane and Sydney Internationals and the Australian Open. “I’ve played plenty of matches,” said Thompson after losing to Seppi on a warm, blustery day at Melbourne Park. “It is disappointing to go out today, but he played well, he played really solid.